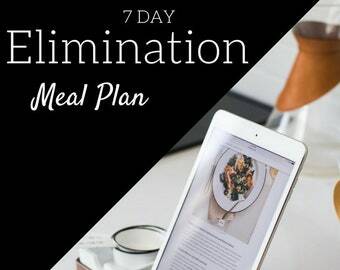 Instant download Ebook and Prep Guide! Nutritional therapy to reduce inflammation, heal digestion (leaky gut) and address autoimmune disease. 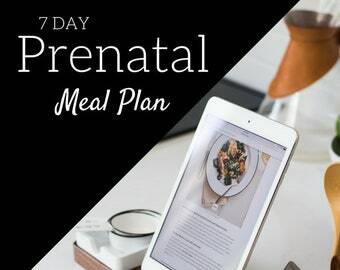 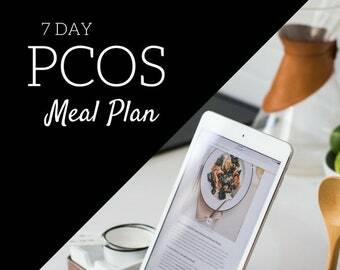 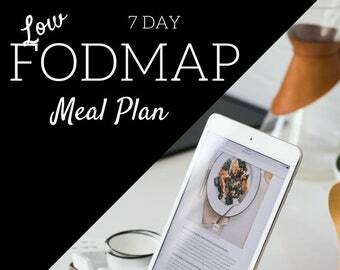 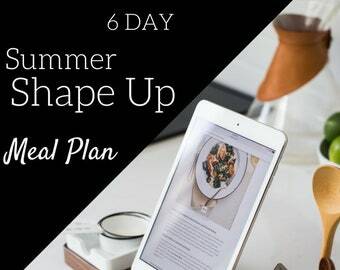 This 7-day meal plan follows the Autoimmune Paleo Protocol as developed by Dr. Sarah Ballantyne, Ph.D. 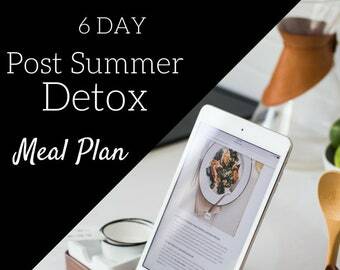 It is free from all foods with the potential to stimulate the immune system, increase inflammation, and cause irritation to the digestive tract. 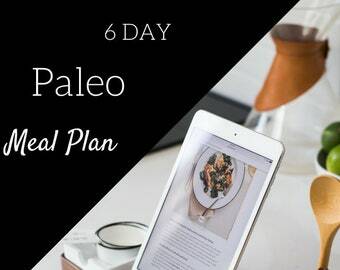 This Autoimmune Paleo Diet excludes all refined sugars and oils, grains, legumes, dairy, eggs, nightshades, nuts, seeds, food additives, spices and ingredients that contain extracts of these foods. This plan is packed with anti-inflammatory ingredients that support digestion like turmeric, bone broth, and bitter greens. 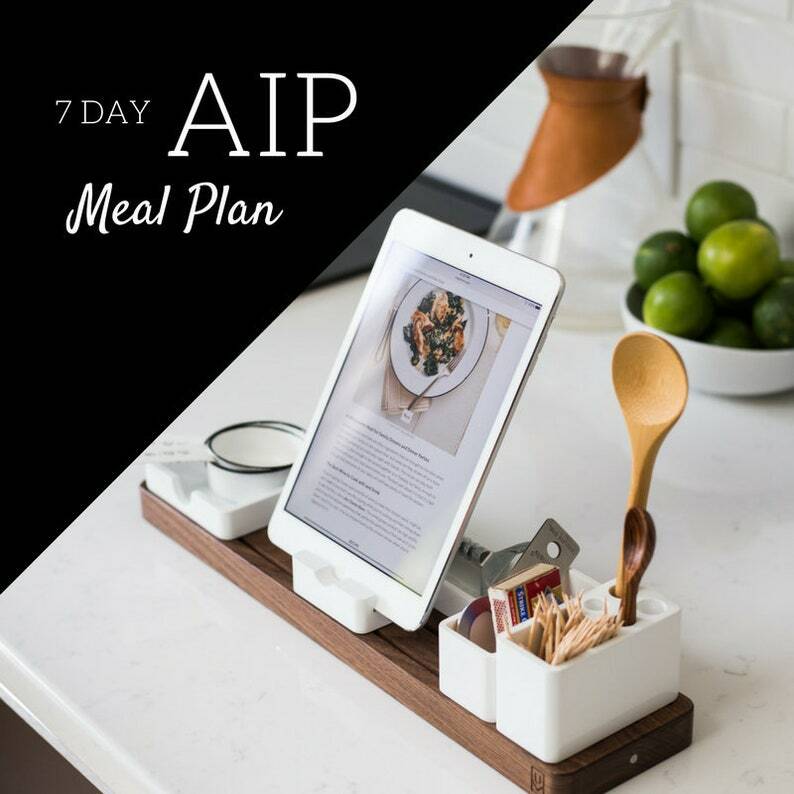 It truly makes following the AIP protocol more simple and delicious than ever. 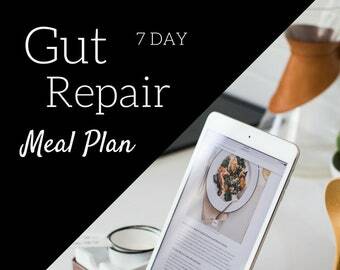 Use these 7 days to reset your digestive system, learn which foods work well with your body, and start feeling better.